Salzburg must be one of the prettiest cities in Europe – after my visit, I am pretty sure of that. It is big enough to be home to some beautiful sights and attractions, but not so big that you feel overwhelmed. 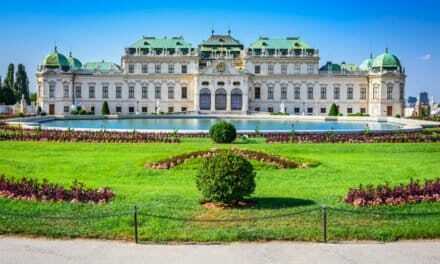 The city is about baroque architecture, nice views, nature (including great views of the Eastern Alps), the Salzach River, relaxation, history, churches, being an UNESCO World Heritage site, the Sound of Music (a movie I had never heard of before my trip), and of course, Wolfgang Amadeus Mozart. While many people visit the city just for one day, I actually recommend visiting for 1.5 or two days, so you can really enjoy the beautiful places in Salzburg and soak in the lovely atmosphere. 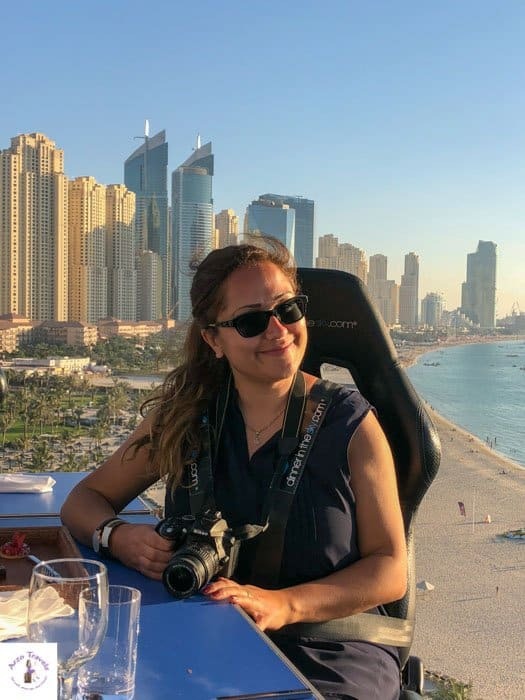 Actually, I would have loved to stay even longer so I could have visited a few more places – I will list one of the places for you as an additional tip towards the end of the post. 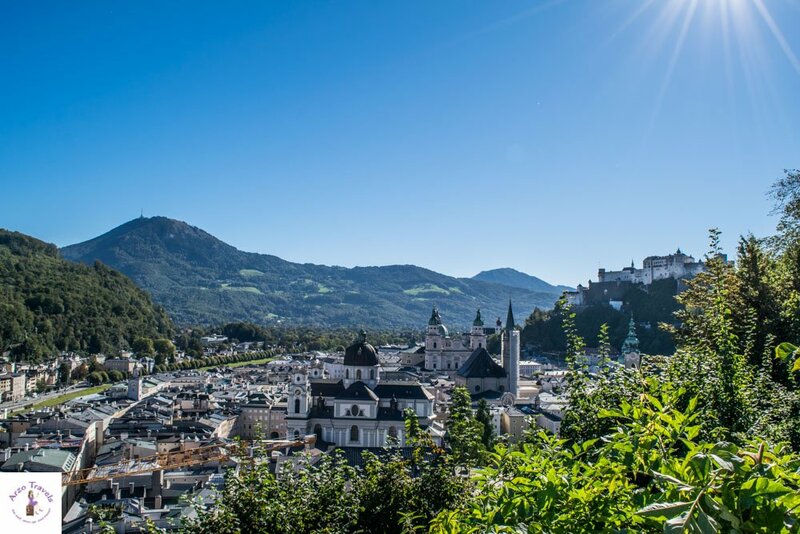 Yes, it is true that many Salzburg sights are located close to each other and one day could be enough, but I think that you will miss out on some things to do in Salzburg with only a one-day visit. So, before talking about what to do in Salzburg, I have some important travel information. Before talking about your Salzburg itinerary and the best places to see and visit, here is some info for first-time visitors. Water bottle: Bring an empty water bottle, so you can refill it and have good, fresh water for free. There are water fountains throughout the city (even at popular spots). Shoes: Wear comfortable shoes, especially if you decide to hike the upper area. Though the paths are not challenging, it might be a good idea to wear solid shoes and as the streets are partly cobblestone streets, high heels are most likely not the best idea either. 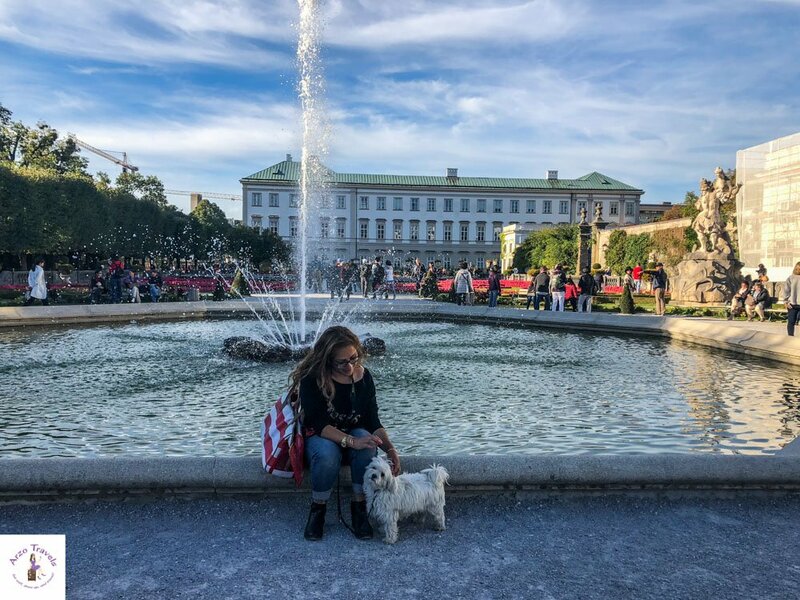 Salzburg Card: I did not get one because I traveled with a dog and cannot access many museums, etc., but I carefully read about the free admissions and such, and think that it is totally worth it if you want to visit at least two museums. You can also use public transportation for free with the card. If I had been by myself, I would have bought it – that’s a no-brainer. For this itinerary, I will mention if you get free access with the card or not, so you can see whether it makes sense for you. You can click here to find out about the prices and buy one for your Salzburg trip. How to Get Around: You can visit most of the places by walking because they are really close to each other. I stayed outside the town center and bought two affordable 24-tickets for 6€ each from the bus driver. If you buy them at the ticket shop, it is only 4€. The public transportation in Salzburg is really good, so I would definitely prefer that over driving in the city. With your Salzburg Card, public transportation is free, though you will probably not need it that often. Walking is the best means of transportation in this city. How to Avoid Crowds: Wake up early – the city is popular amongst tourists, and the popular places quickly fill up with people. So, for some quiet time, I recommend being in the town center by at least 8 am (though, of course, it also depends on the weather; in winter, 9 am should be fine, too). I visited at the end of September and was lucky because the weather was perfect (around 20 degrees Celsius and sunny) and the crowds were not extreme, but it was still busy. I would definitely not recommend visiting in July or August though. City Parts: The Salzach River divides the left bank (the old town) from the right bank (new town) and both are great to visit. My itinerary focuses (mainly, but not exclusively) on day 1 in the old town and day 2 in the new town. Tourist Information Center: Since I have started blogging, I always try to check out tourism information offices and get some hidden gem recommendations that aren’t on the website or personal opinions. It is interesting what information you can get that isn’t necessarily available online. 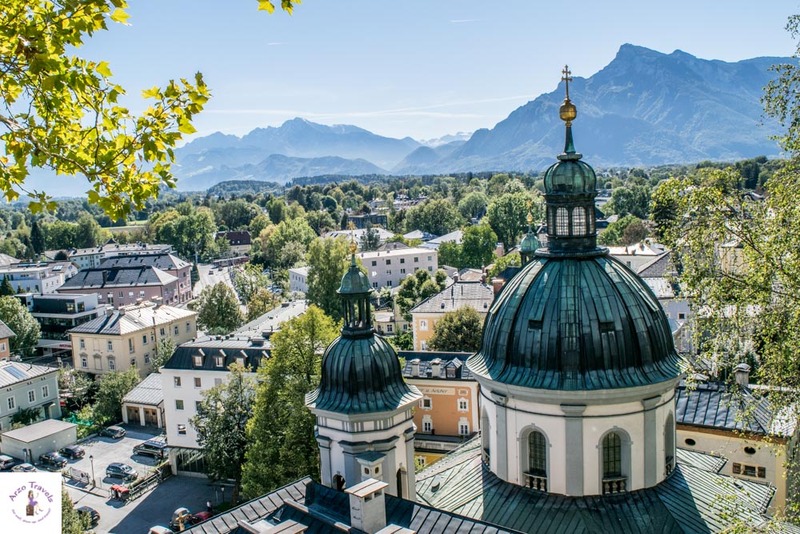 How Long to Stay in Salzburg: If you visit Salzburg you will see how compact the city is – walking to many points of interests is easy. So, discovering Salzburg in a day is possible. However, I still recommend staying overnight there. 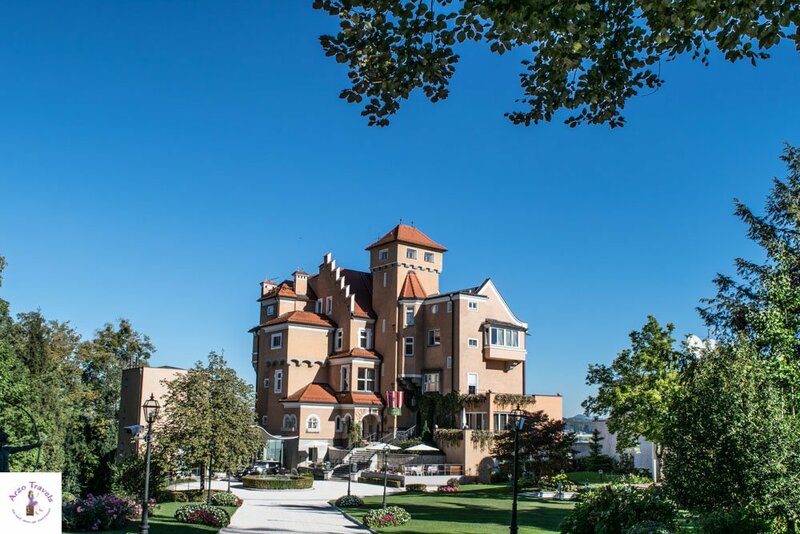 Where to Stay in Salzburg: As mentioned I recommend staying overnight, so you can have a full or even two days in Salzburg. 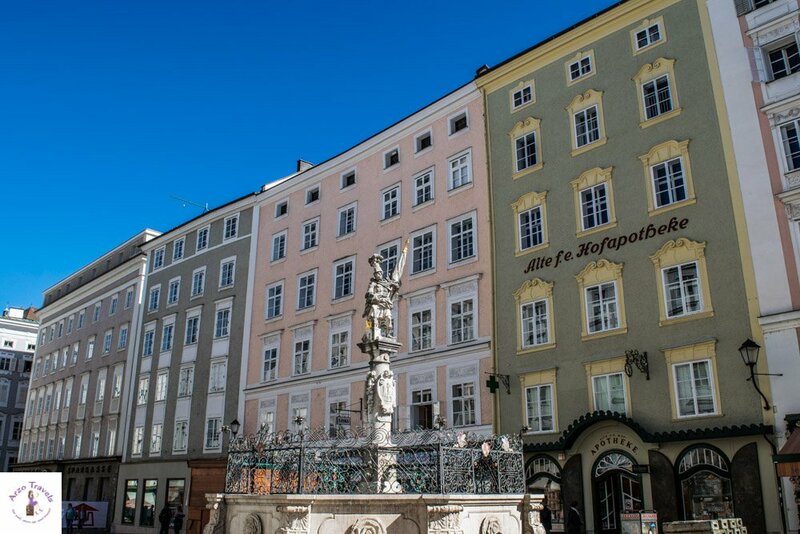 In general, accommodations in Salzburg is pretty expensive, and so staying outside can help you saving money (and thanks to a great public transportation system of the city, it is also easy to get around). If you are looking for a more budget-friendly hotel then you have to check out accommodations near the town center. Ibis Budget Salzburg Airport – I stayed at the Ibis Hotel near the airport – it was good value for money (I also mostly booked it because I wanted to park my car for free). It did not take long to get to the town center and public transportation is cheap and good (though it takes more than ten minutes to the bus station. Click here for more info and the best rates. Here are my best things to do and see in Salzburg (a two-day itinerary, but you could do all these things in one day in Salzburg, too). The museum is located at the Mönchsberg and displays art from the 20th and 21st centuries. Due to its location on a hill, you have really nice views over the city. You can see the Kapuzinerberg on the other side, the river, and the Domsplatz (Cathedral Square). The views are worth the hike, or the lift ticket. There is also a restaurant (with a high price tag), and early in the morning, it isn’t too busy up there. How to get there: You can either hike up or take a lift. The lift is not free (though some bloggers wrote that it is, this is false information). 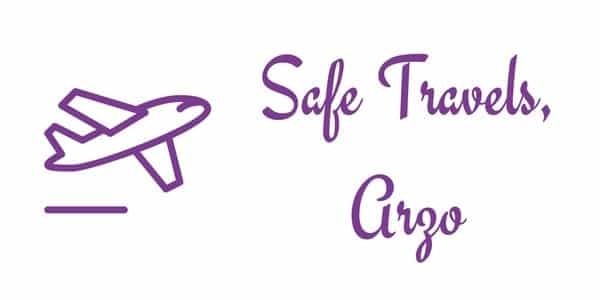 You can buy a round trip or one-way ticket. Though I took the lift, I actually recommend walking up. Prices: 2.40 € (3.70 round trip). I got a return ticket after I had a coffee at the restaurant at the museum (which, however, I did not use). You can combine it with a ticket for the museum. Free with the Salzburg Card (including lift). If you stay in Salzburg for two days, you can stroll the area. This is a lovely, quiet place with not many people. You will forget for a moment that you are in Salzburg because it is so green, lush, and hilly up there – not really city-like and, thus, even more special. There is a very classy hotel if you turn right from the museum (so, away from the fortress) where you could also have something to drink or eat. If you don’t take a break and enjoy a stroll and the view, it should not take more than 30 minutes. All places are very well signed and you don’t have to worry about getting lost up in the hills. Then, head back to the Museum and towards the Hohensalzburg Fortress. This castle, one of the best and biggest preserved medieval fortresses in Europe, sits on a hill, the Festungsberg, and is one of the main attractions in Austria. Located 506 meters above sea level, it is visible from almost every place in the city. The fortress is open year round and you can visit the different rooms (like the princely chambers) and museum for a one-time fee. Opening times depend on the season, but it is open all year. How to get there: There are two ways to get to the fortress. Use the funicular or hike. Funicular: You can go to the “Festungsbahn“ funicular station in “Festungsgasse“ and use your Salzburg Card to get up for free. Or you can buy a ticket (including a ticket for the fortress if you like). Hike: From the ticket center, you could also just follow the signs and take a 10-minute hike up to get there. I walked there from the Museum of Moderne and wouldn’t do it any other way. It is well signed from there, so it is not a problem to find. It is a nice walk from the museum and takes a bit more than 15 minutes (it took me longer, as I stopped a few times to enjoy the numerous great views). This is my recommended way of getting up. There is also another way, which includes a short hike (see my tips on St. Erhard Church to find out how to get there). Prices start from around 12€ for adults (incl. a funicular ride) or 16€ for an All-Inclusive Ticket (this gives you access to all of the rooms). If you hike up, you can save around 3€. Free entry with your Salzburg Card. To have a great view of the church, you can either look at it from the other side of the town (meaning, you cross a bridge and have a lovely view from the distance) or you can have one of the best views in Salzburg by looking at it from above. How to get there: You could get there by either starting your journey from the end of the Judengasse or, if you are at the fortress, get there within a few minutes on foot. From Judengasse: Head to Nonntal or Nonnenstieg. Climb the stairs (yes, there are a few; my guess is around 150 or so) and then keep left (if you keep right, you will find a restaurant and, later, the fortress). Head to the very end (it takes about 10 minutes) and there you can see the view – probably my favorite in all of Salzburg. 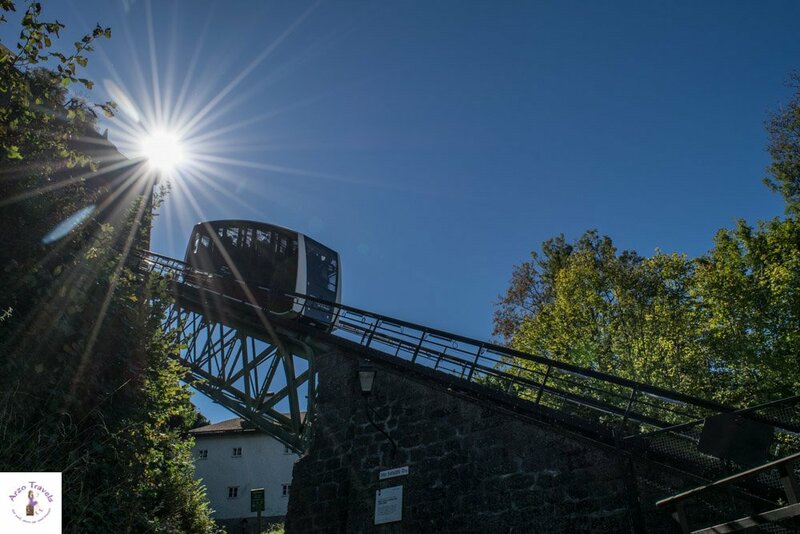 From the fortress: Don’t use the lift to get back to the town center, but instead, walk down and keep right (pass “Stigelkeller“ Restaurant and keep right towards “Stift Nonnberg“ or “Nonntal“). It is just a 10-minute walk (or even less) for you to reach your destination. Plus, you have more great views of the city when you walk this path, rather than the one from the old town. Cemeteries in Austria are popular tourist attractions. While I still think it is kind of weird, Austrian tourism boards actually advertise certain cemetaries, so I guess it is fine to visit one. However, whenever I visit a cemetery, I try to be very respectful and quiet. Even if it is a popular tourist spot in Salzburg, I can only advise to respect the place. 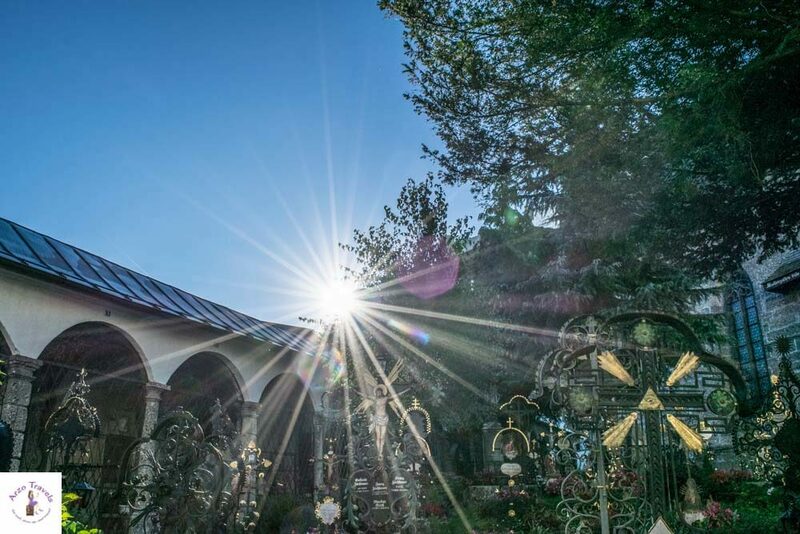 The St. Peters Friedhof is a very beautiful and well-maintained cemetery right in the center of Salzburg. According to some (I don’t feel like I could give a proper judgement on this), it is one of the most beautiful cemeteries in the world, where many famous people are buried. P.S. There are also catacombs you can visit. Entry is 2€ (free with the Salzburg Card), but with a dog, I did not enter (for the cemetery, I put Puppy in his bag and walked him around like that, though I did not see any “no dog“ signs). Price: The cemetery is free. How to get there: I couldn’t see signs for the cemetery and ended up asking a nice local. Walk toward the Abbey and there you will find a map hanging. Within a minute, you are at the cemetery. Personally, I loved the Getreiedegasse the best. It is just extremely picturesque, though busy at times. For pictures without too many people in them, you should probably get there early in the morning. There are many souvenir shops that also sell Mozartkugeln, but you also have the famous chains, as well as some boutiques. Also, there are many lovely squares with classy, pastel-colored buildings, which were so pretty to look at, e.g. Alter Market, Cathedral Square, and the Mozartplatz (you´ll also find the Mozart statue here, as well as tourism information). 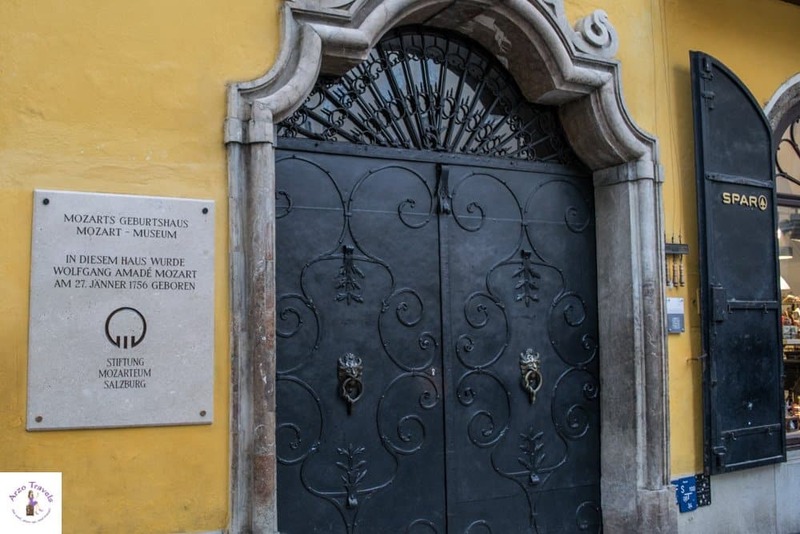 Mozart, born in the 18th century, is one of the greatest musicians of all time – making the family home where he was born (there is also the house he lived in, found in the new town) a popular tourist spot in Salzburg. Located in the Getreidegasse, this place is now a museum and pilgrimage site where you will find exhibition pieces. 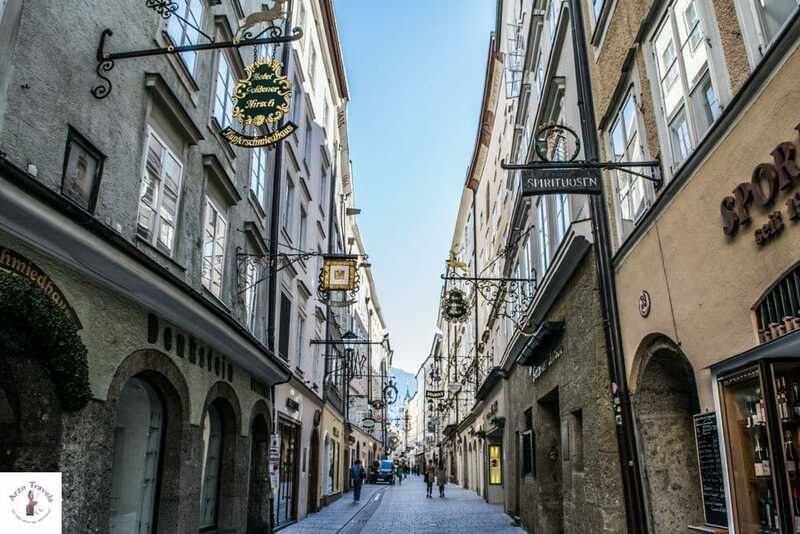 How to Get There: It is located in the Getreidegasse, one of the main shopping streets in Salzburg. There is no bus going but you can walk from Doms Square or the fortress. Price: Adults are 11€. Free with Salzburg Card. Personally, I assume that the above-mentioned activities make it a busy first day in the city (if you actually visit the museums and spend time in them). If you have time and energy left, scroll down and see which of the following activities you want to add to your first day (which I suggest for day 2). 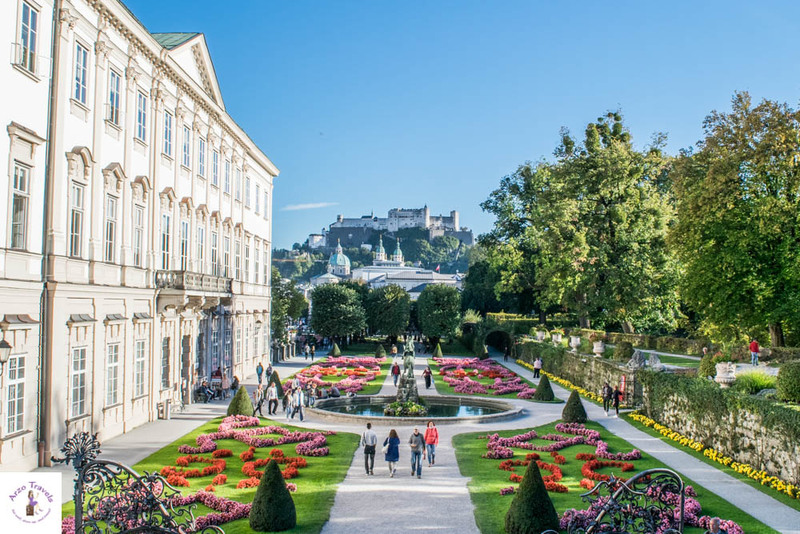 These are places to visit in Salzburg in 1 day – but you should make sure to add Mirabell Garden to your list of places to see in 1 day as well. But for day 2 you can add a few more other tourist attractions in Salzburg. 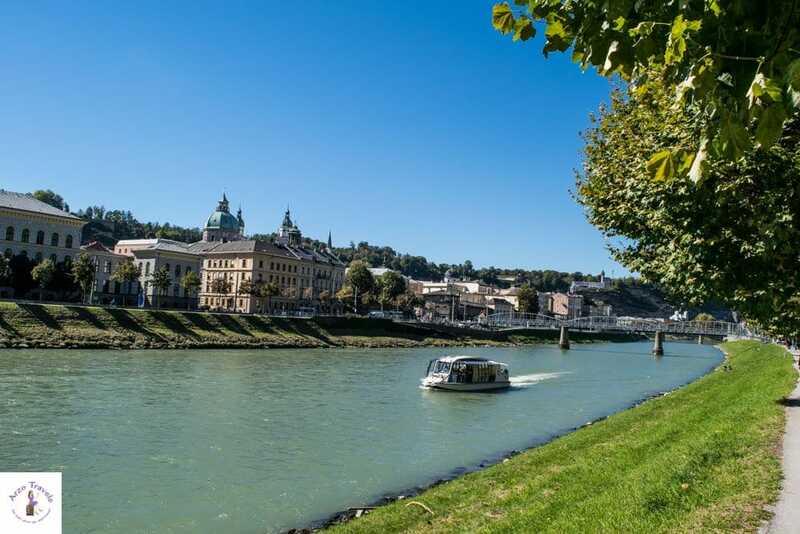 If you are lucky and have 2 days in Salzburg, you can start with discovering the new town of Salzburg, to the right side of the Salzach River. But don’t be mislead by its name. New doesn’t necessarily mean modern in this case. It has its oldish charm in some ways, but of course, it looks a bit different from the old town of Salzburg. Okay, it depends on where you stay. If you stay in the new town of the city, there is probably no need to cross the bridge; but if you stay in the old town, then choose this bridge to get to the other side. There are a couple of bridges that you can cross to get to the other side of the city. Getting there is actually part of the itinerary because you have some attractions to see on the way (more on this later). This bridge was built/opened in 1903 and is called Mozartsteg, so it is probably a must to cross. But even if it was not, it is actually really pretty. The Mirabell Palace and Garden was built in the 17th century by the prince-archibihop for his beloved. The Palace is home to municipal officers and the mayor of Salzburg. The Mirabell Garden is totally overrun by tourists, but I clearly get why. The very well-maintained garden is a lovely place for nice walks, breaks, and of course, for taking amazing pictures. With the Dom and fortress in the background, it makes this place even more picturesque. If you don’t want to share this place with too many others, head there early in the morning or later in the afternoon. There are different areas and not all are open at the same time, but most of the area is open year round (from around 6am). Price: Admission to the garden is free and it is one of the best places to visit in Salzburg (even if you only have one day). As the main street on the right side of the river. the Linzergasse has many restaurants and cafes – and shops. 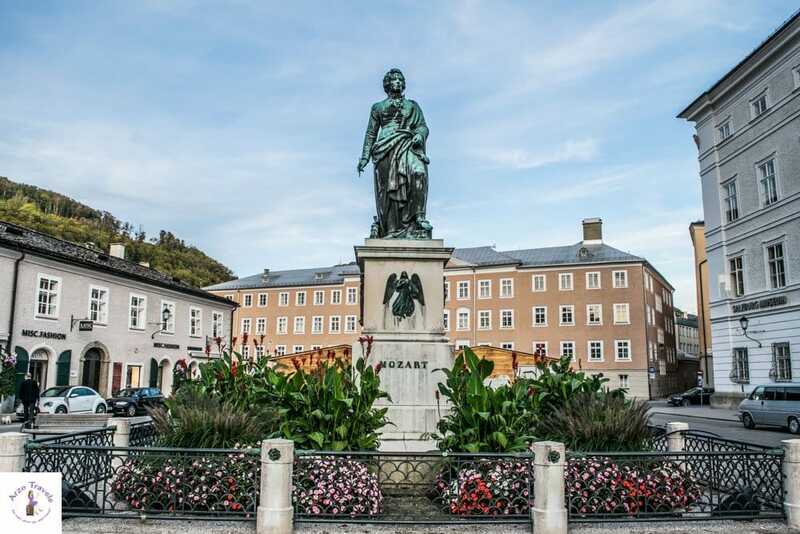 While it is the modern part, it still has some classical charm and it is close to other main Salzburg attractions that should be on your itinerary (like Mirabell Garden, the icing house of Mozart, and the Kapuzinerberg). On a sunny and warmish day, I recommend taking a break at the river. Just at the Salzach River, close to the Linzer Gasse and Mirabell Garden, is a meadow where you can rest and chill. While doing so, you can listen to the sound of the river and also marvel at the pretty buildings on the other side. I took a break and enjoyed the sun shining on me. It was so quiet and peaceful. After walking for more than 20 kilometers that day, I really deserved the rest – and most likely, so will you. Salzburg is all about great views. Kapuzinerberg is another great place to see stunning views over the city. I waited for my visit until the last minute because I wanted to enjoy the sunset from there, but because of a broken laptop, I had to rush to the store instead. So, while I did not get to visit (which I really regret and makes my heart bleed), I recommend hiking up there and enjoying the view from 640 meters above sea level. 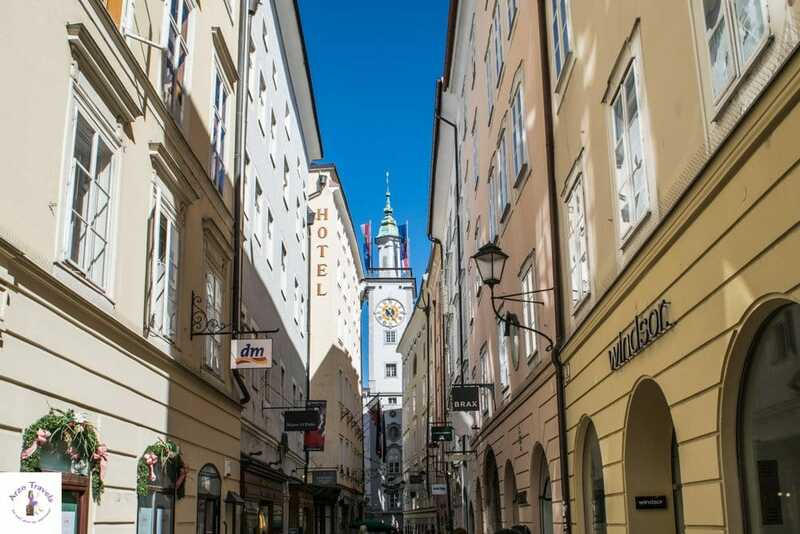 It is known as a great place to chill, enjoy some outdoor activities, visit churches, and soak in the views of the Salzach River and the old town of the city. How to Get There: There are three paths to go up. but if you are in the Linzer Gasse, I suggest starting there (it is well-signed). Salzburg is probably one of the few places that offers boat tours – and I didn’t take one. This is very unusual for me. But while I did not do a tour, I do suggest taking one because boat tours are normally amazing. The river is also clean, and a trip (Tour II, which is only once a day at 2 pm, and not in the winter) is also included in the Salzburg Card, so definitely take advantage of this free Salzburg activity (well, if you have a card). 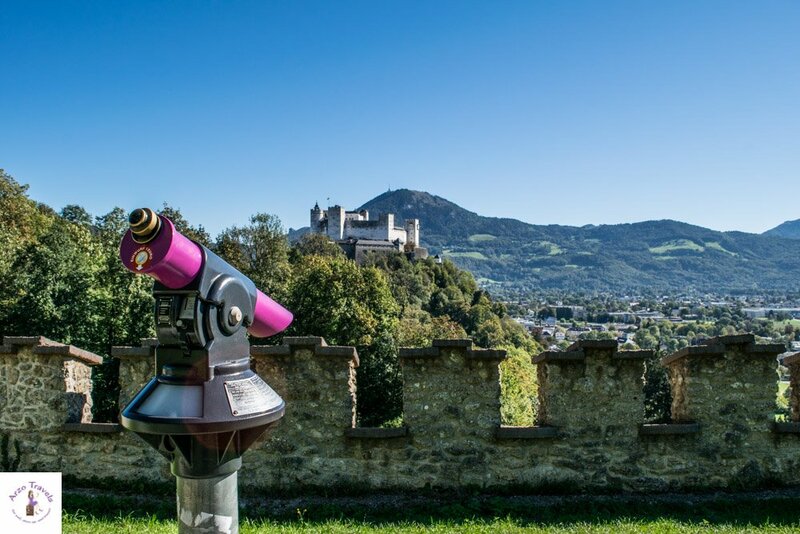 Wondering about more things to see in Salzburg? If you have some time left, you can visit the Schloss Hellbrunn, which is a bit outside the main city center. 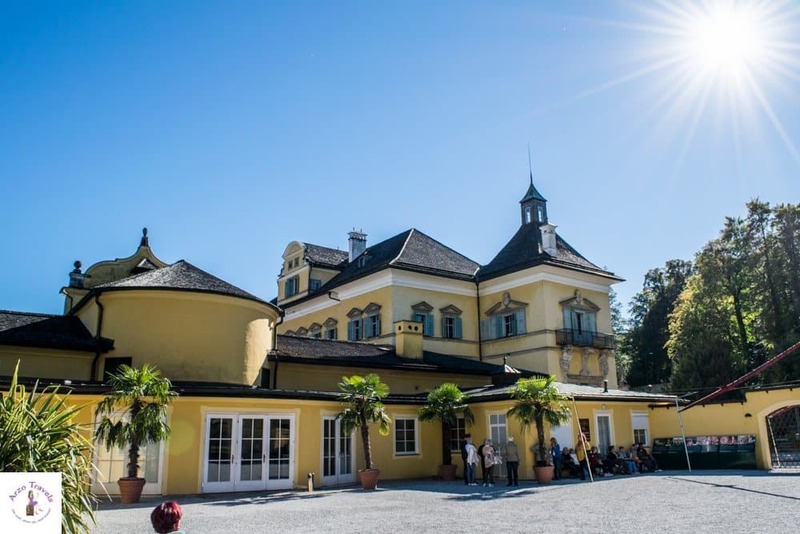 Why visit the Schloss Hellbrunn? If you have a love for the color orange or yellow or are interested in history, or into beautiful baroque buildings or lovely gardens, then you should definitely plan in some time for this spot. The castle was also built in the early 17th century and can now be visited at any time of the year. How to Get There: From the town center, it takes about 20 minutes by bus. Hop on the 25 bus line to get there. Prices: Around 12.50€ for adults. Free with your Salzburg Card. Park and Orangery are free (and dogs are allowed). Buy your Salzburg Card here. If I had had more time, I would have loved to visit Untersberg – it is a popular attraction and to get up the Untersberg mountain you can either hike up or use the cable car (free with the Salzburg City Card). As I was heading to Hallstatt afterward I had to skip that mountain trip which I regret and if you have more times on your hands please visit for me, too and enjoy the views I couldn’t. 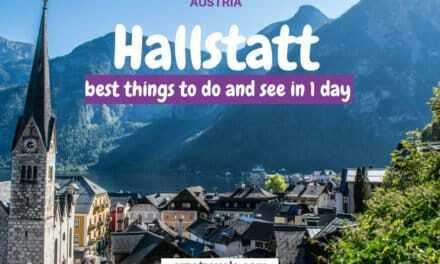 If you want to visit, extremely popular, Hallstatt but don’t have a full day or longer you could book a half-day trip from Salzburg to Hallstatt. Here is my 1-day itinerary for Hallstatt. 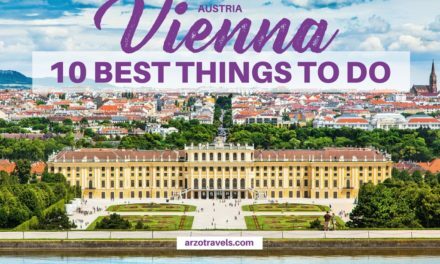 I did visit Vienna several times but honestly, I cannot say which city is prettier – both are extremely beautiful (here is my 2-day itinerary for Vienna) and also romantic – so if you want to spend time with your loved one, it could be one of the two cities. 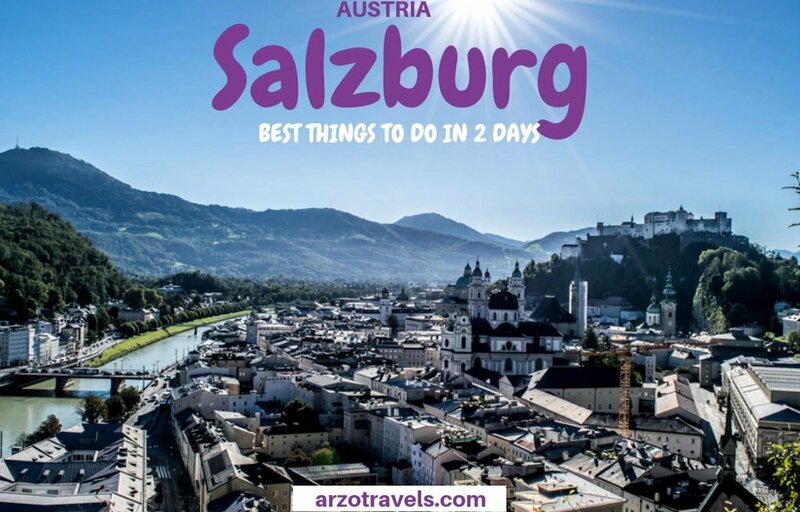 I hope, you will enjoy the city and this Salzburg itinerary as much as I did and this post has inspired you to visit the places I enjoyed the most. Have a great stay!